Either reach an agreement to denuclearize and remain in power or, suffer the fate of Libyan leader Muammar Gaddafi, who was overthrown and murdered by rebels. 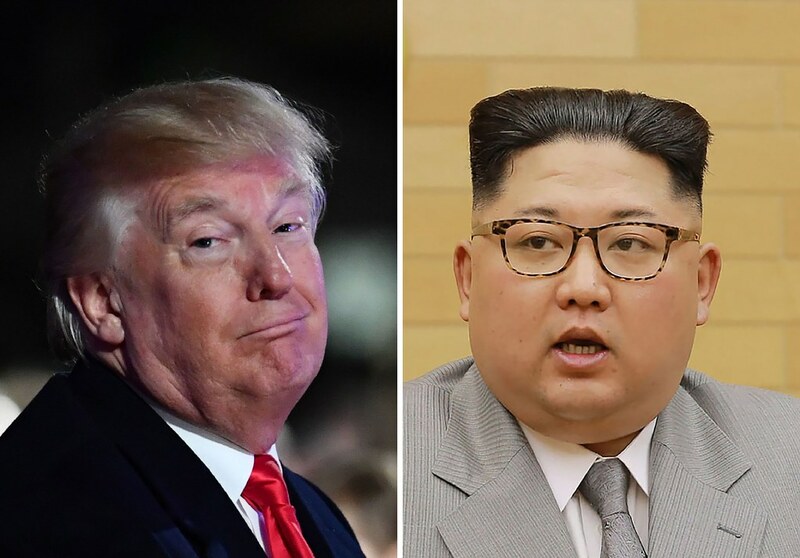 Trump threatened North Korea’s leader Kim Jong-un if he doesn’t strike a deal at next month’s summit in Singapore. With the June 12 US-North Korea summit at stake and plenty of statements flying from both sides, Trump gave Kim two options: reach an agreement to denuclearise and remain in power or suffer the fate of Libyan leader Muammar Gaddafi, who was overthrown and murdered by rebels who were supported by a NATO bombing campaign in 2011. “If you look at that model with Gaddafi, that was a total decimation. We went in there to beat him. Now that model would take place if we don’t make a deal, most likely,” Trump told reporters prior to his meeting with NATO Secretary General Jens Stoltenberg at the White House on Thursday, US time. Continuing, The Guardian reported Trump appeared to be confused when asked about a statement by national security adviser, John Bolton, who said last weekend that the “Libyan model” might be a suitable framework for an agreement. The model Bolton was referring to was Gaddafi’s agreement in December 2003 to surrender his embryonic nuclear weapons program, which included allowing his uranium centrifuges to be shipped out to the US. British news magazine The Week reported that Trump appeared to walk back that claim. Trump later appeared to retreat from his threat – and contradict Bolton – in a joint appearance with his national security adviser. “The Libyan model isn’t a model that we have at all when we’re thinking of North Korea,” he said. Any deal with North Korea “would be with Kim Jong Un, something where he’d be there, he’d be in his country, he’d be running his country, his country would be very rich, his country would be very industrious”, Trump added. Adding to the rising tension, North Korea’s chief negotiator called the South Korean government “ignorant and incompetent” on Thursday evening, again denounced US-South Korean air combat drills taking place this week and threatened to halt all talks with the South unless its demands were met. The comments by Ri Son-gwon, chairman of North’s Committee for the Peaceful Reunification of the country, were the latest in a string of inflammatory statements marking a drastic change in tone after months of easing tension with plans for denuclearisation. Ri also criticised the South for participating for allowing “human scum” to speak at its National Assembly, the North’s KCNA news agency said in a statement.